Be you a student new or returning, you might have a few questions. What is Nightline? And what can they do for me? 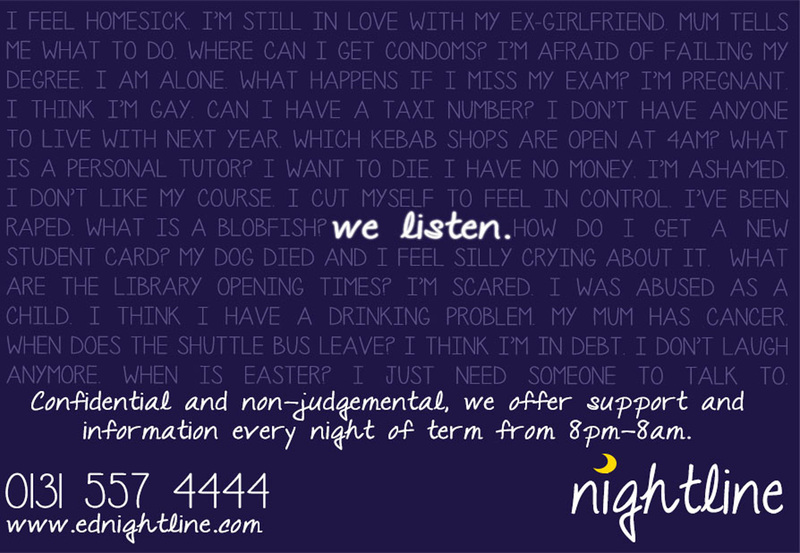 Nightline is an anonymous and confidential service that provides both support and information. Nightline is run by students, for students. Our lines are open 8pm to 8am, every night of term. That is, from tonight, Sat. 12th Sep.
You can speak to us over the phone at 0131 447 5555 or online, through an instant messaging service you can access at ednightline.com. Nightline is non-judgemental and non-directional. You can talk to us about anything and our trained volunteers will be there to listen as long as you wish to talk. We listen—but we don’t advise. We can provide information if asked, though.  Edinburgh Nightline is part of a National Organisation and has won several awards and been shortlisted for more over the past few years acknowledging the hard work and dedication of our volunteers. If you want any more information about the service or what to expect when contacting us, check out the website.